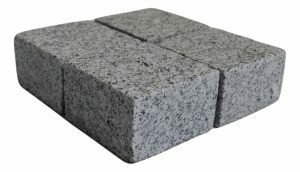 A quality and economical grade granite, that has a white background grained uniform black spotted appearance. A contemporary and subtle choice, suitable for most landscapes. Moon White cobbles are ideal for commercial driveways and thresholds. Sizes & finishes custom made to your requirements, contact us for more info. An eye-catching granite that has a light sandy background with a stunning blend of medium grained honey blonde to pink intrusions. Incredibly hard- wearing and beautiful, River Stone commonly also known as ” Honey Jasper ” is a classic neutral to suit all designs. 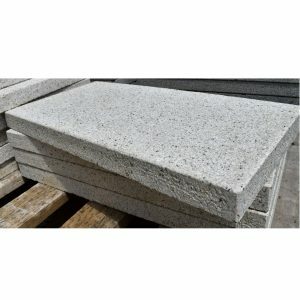 A bush hammer finish produces a lighter stone color and has a weathered appearance, a great look for top and edge surfaces on wall capping. Sizes & finishes custom made to your requirements, contact us for more info. An eye-catching granite that has a light sandy background with a stunning blend of medium grained honey blonde to pink intrusions. Incredibly hard- wearing and beautiful, River Stone commonly also known as ” Honey Jasper ” is a classic neutral to suit all designs. Sizes & finishes custom made to your requirements, contact us for more info. 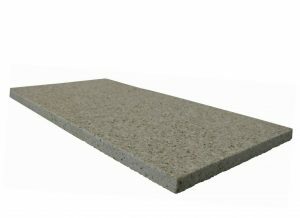 A condensed grain granite with minimum variation and an earth colour pallette. 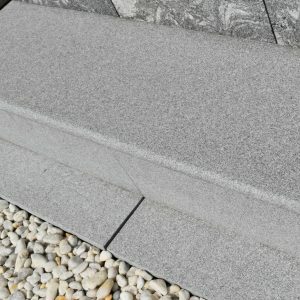 A hard wearing and stain resistant granite, ideal for urban landscapes. Sizes & finishes custom made to your requirements, contact us for more info.